Christmas is a special time here at Sprague's. The lighting is spectacular, the warmth of the fire burning in the fireplace, family and friends get together for celebrations. Holiday decorations abound. 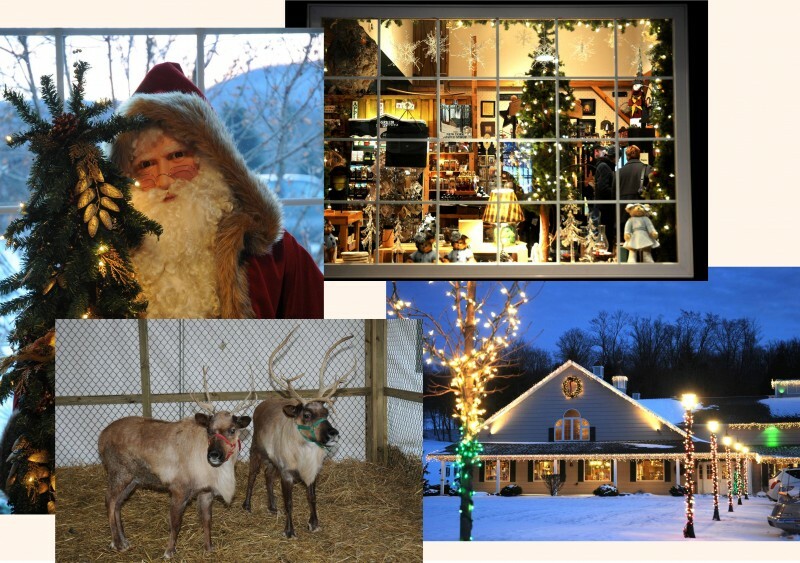 We begin the season with the arrival of Santa's reindeer shortly after Thanksgiving..
Join us for breakfast with Santa on Christmas Eve morning from 9:00am - 1:00pm, just before he heads out on his annual flight. Closed Christmas Day so our staff can enjoy the holiday with their families.